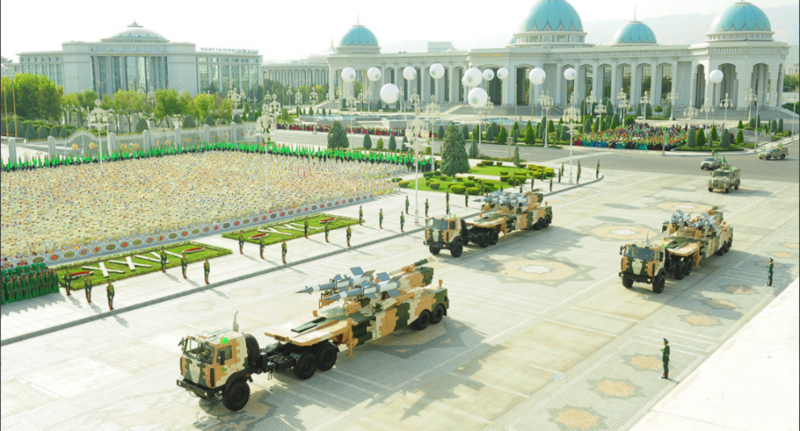 As the Eastpendulum resource informs in the material "Le Turkménistan se dote du radar passif chinois DWL002", Turkmenistan continues to purchase Chinese weapons. 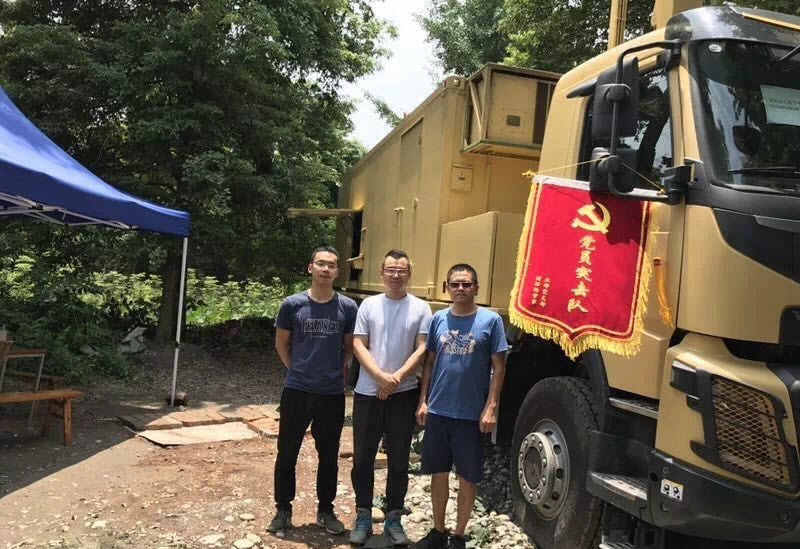 The latest model for today is the Chinese station of passive radio technical intelligence DWL002, which should strengthen the air defense system of this republic. The station was developed by the Southwest China Research Institute of Electronic Equipment (SWIEE), also known as the Institute No. 29, a member of the Chinese state corporation China Electronics Technology Group Corporation (CETC). The passive station DWL002 itself does not emit signals, but intercepts and processes civil frequencies at low wavelength, primarily television and radio channels for the detection of air, land and sea radiation sources. The system consists of one main and two auxiliary stations on the car chassis, which are located at some distance from each other. If there is a request from the client, the measurement of the fourth coordinate - the height of the targets can be integrated into the system. 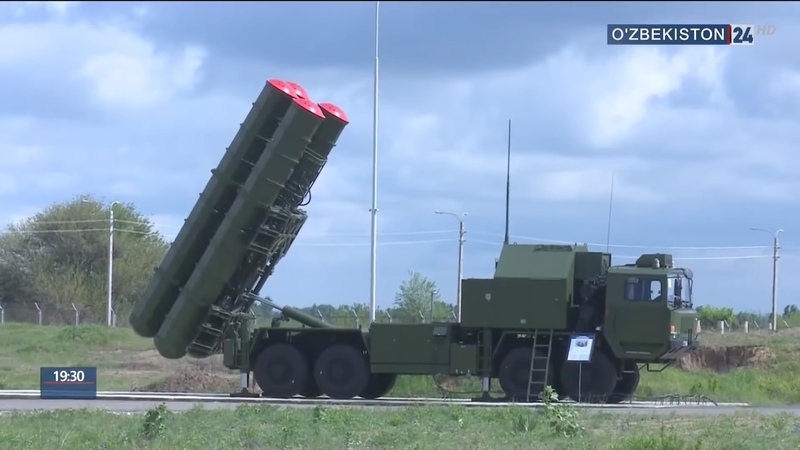 Turkmenistan has previously purchased Chinese-made air defense systems: the YLC-18 three-dimensional radar for monitoring low altitudes, the YLC-2V three-dimensional high-altitude radar, and three types of different antiaircraft missiles - FM-90, KS-1A and FD-2000. This demonstrates the desire of the leadership of Turkmenistan to get at its disposal such airspace control systems, although Turkmenistan's neighbors do not pose any military threat to it. According to publications in Chinese sources, the supply of elements of the station DWL002 began in 2016. In September 2017, a factory brigade arrived in Turkmenistan to set up the station and check its operability at the site of the deployment. Turkey’s private defence company Nurol Makina (Nurol Machinery) signed a memorandum of understanding (MOU) on 26 October to produce 1,000 of its Ejder Yalcin 4x4 tactical wheeled armoured vehicles jointly with Uzbekistan’s UzAuto at the latter’s facilities in Uzbekistan. The signing came during a visit by Uzbek Prime Minister Shavkat Mirziyoyev to Turkey, the first at this level in 21 years. 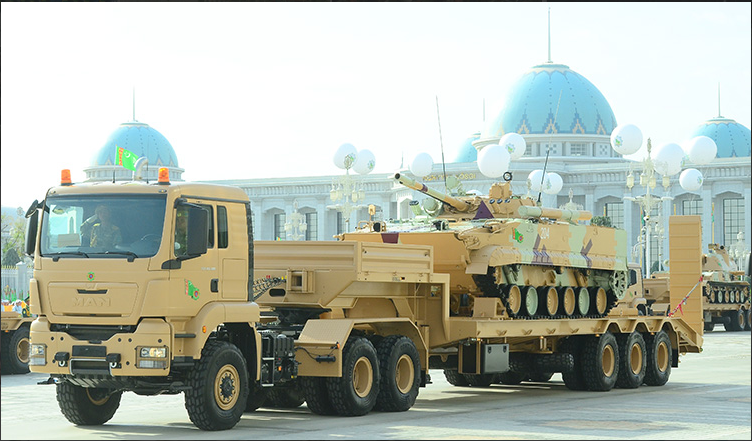 The MOU foresees the sale of 24 Ejder Yalcins initially to Uzbekistan as well as sales to third countries. 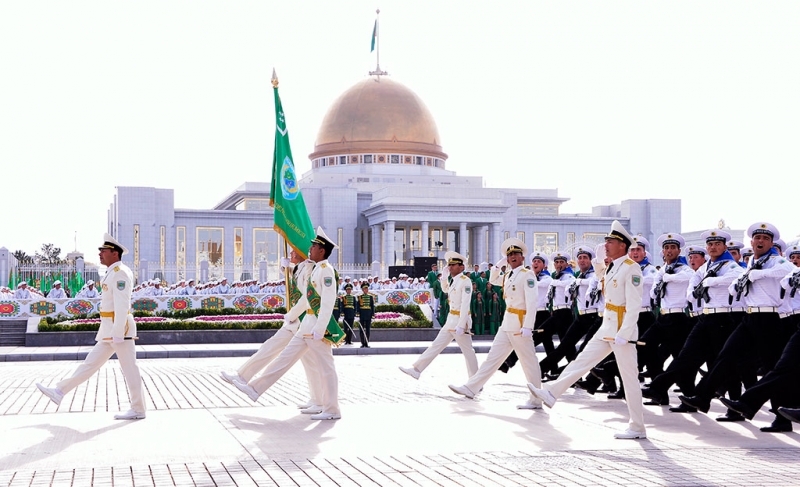 The solemn parade timed to the 26th anniversary of Turkmenistan's independence was held in Ashgabat on October 27, 2017. 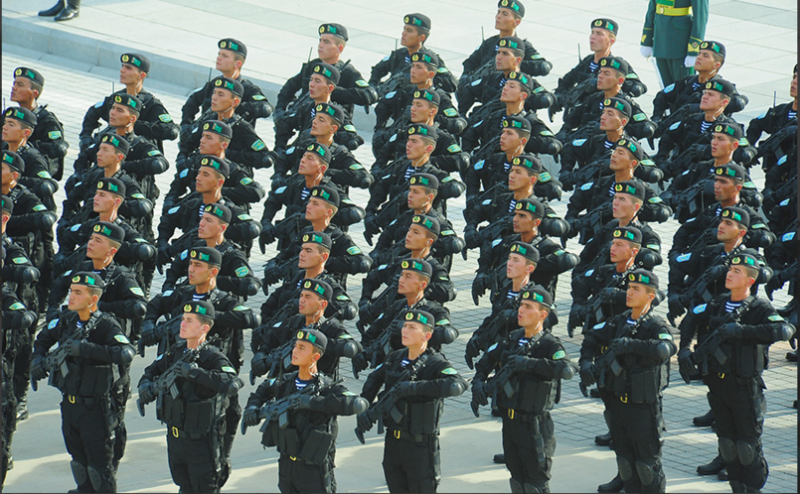 The parade was started by the flag group with the National Flag and combat banners of units. 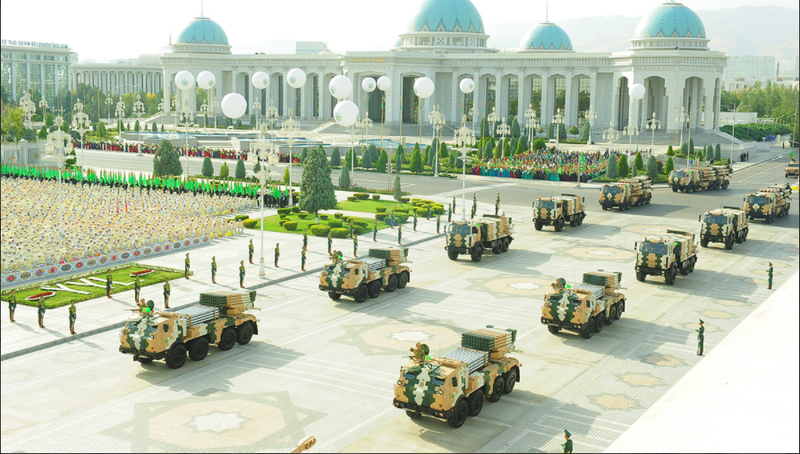 The parade was attended by an officer battalion of all branches of the armed forces of Turkmenistan, a column of female servicemen, military pilots, a motor rifle battalion, paratroopers, marines, anti-aircraft gunners, border guards, special forces and Interior Ministry officers (including cavalry units), employees of the Defense Ministry's Civil Defense and Salvage Department . 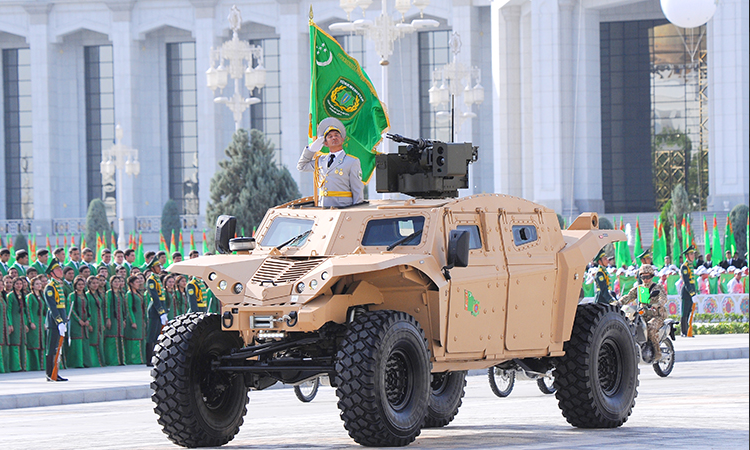 The Turkmen armed forces have armored NIMR vehicles equipped with anti-tank missiles "Shershen", tactical drone, mortars and machine guns. 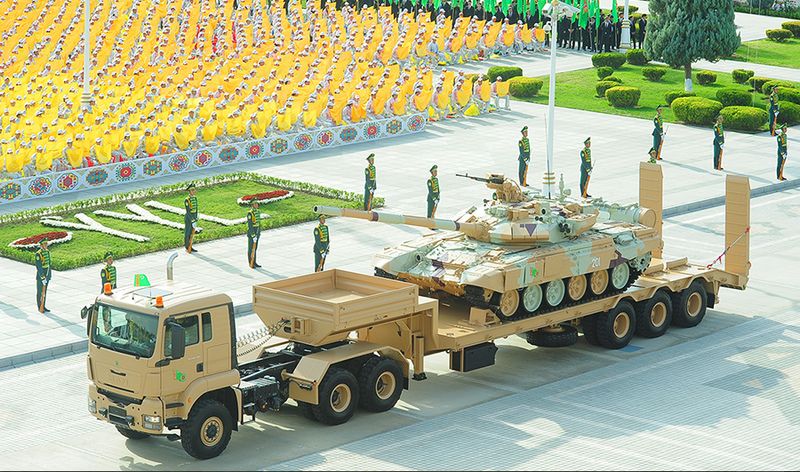 BTR-80A armored personnel carriers, KARAKAL self-propelled anti-tank missile systems with anti-aircraft missile systems, MAN combat vehicles with Orbiter 3B drones, BMPs, self-propelled artillery systems, BM-21 anti-aircraft and missile systems participated in the parade of vehicles. BELGRADE "and" Tornado ". 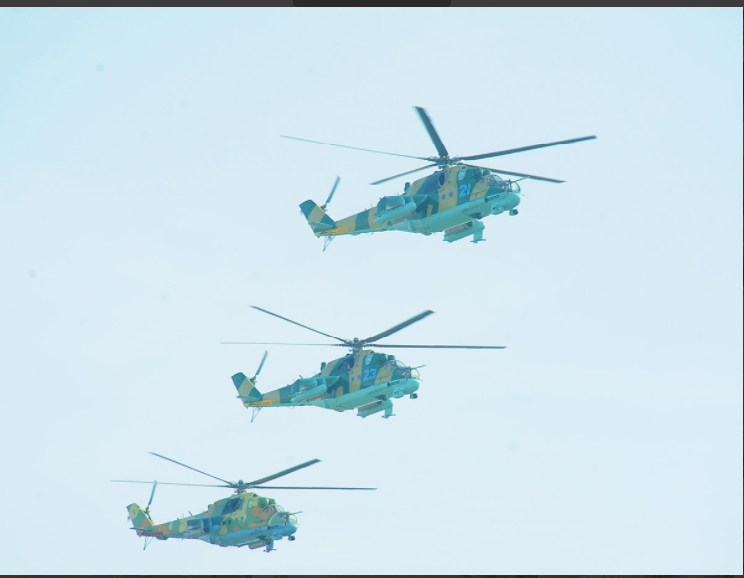 Over the square, the planes "Diamond-42", "Su-25", "MiG-29", helicopters "Eurocopter" flashed, the State News Agency of Turkmenistan reports. As TASS reported on November 30, 2017, the Ministry of Defense of Uzbekistan and Rosoboronexport signed a contract for the supply of 12 MI-35 attack helicopters. This was reported on Thursday by the diplomatic source on the fields of the exhibition "Russia and Uzbekistan: 25 years of strategic partnership". "The contract for the supply of 12 attack helicopters has been signed, deliveries of military vehicles will begin in 2018. Long negotiations on the agreement and the terms of its implementation were completed during the recent visit to Uzbekistan of the Russian Prime Minister Dmitry Medvedev," the source said. Pity no mention of cost. The next batch of Russian military and military-technical equipment - tanks, helicopters, howitzers, anti-aircraft installations - was transferred on December 19 in Dushanbe to the armed forces of Tajikistan (AF) to protect the border with Afghanistan. 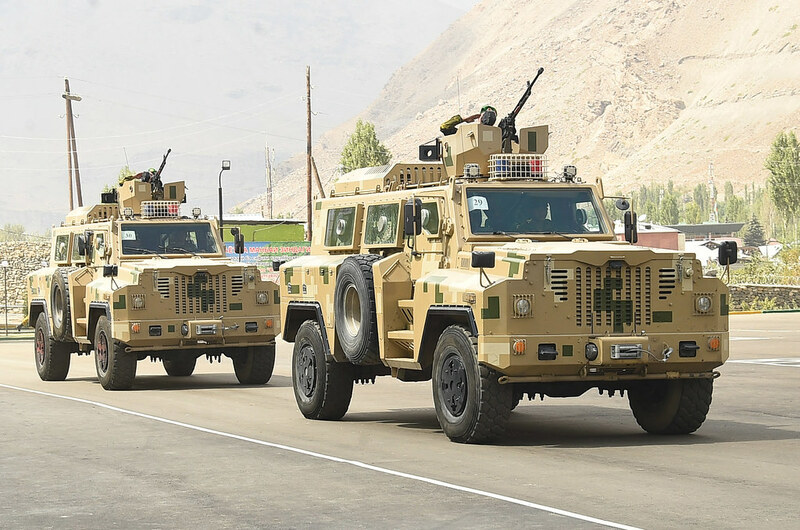 "The transferred weapons and military equipment will expand the capabilities of the Tajik armed forces to repel a terrorist threat and create a reliable barrier on the Tajik-Afghan border," said Major-General Alexander Kshimovsky, head of the main department for international military cooperation of the Russian Defense Ministry. "Strengthening the Armed Forces of Tajikistan is a priority for us, and we regard our friendly allied relations as an important factor of regional stability," he said. According to him, Tajikistan can always count on Russia's support in the sphere of security. "The armed forces of our countries should be prepared for any variant of the situation, including negative development," Kshimovsky said. Tanks T-72B1, BTR-80 and BTR-70, BMP-2 and Mi-24 and Mi-8 helicopters, D-30 howitzer, anti-aircraft guns, topographic equipment, spare parts for armored vehicles, communication equipment, rear assets and large the number of small arms. 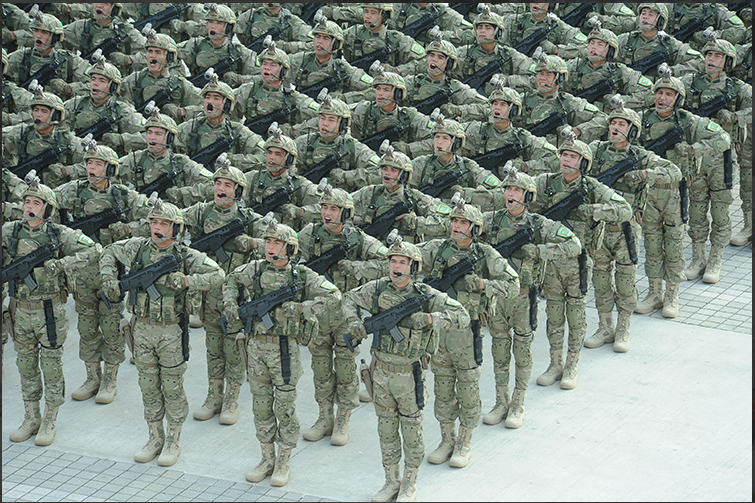 "In 2017, Tajikistan transferred Russian military products for $ 122 million," Kshimovsky said. According to him, all the aid is delivered by the Russian Defense Ministry on a no-cost basis in the framework of rendering military-technical assistance. Kshimovsky expressed confidence that the joint actions of countries, military and technical assistance from the Russian side will create a combat potential that can reliably protect against all existing and foreseeable security threats in Central Asia. He noted that the transfer of military and military-technical assistance became possible due to the political will of Russian President Vladimir Putin and Defense Minister Sergei Shoigu. 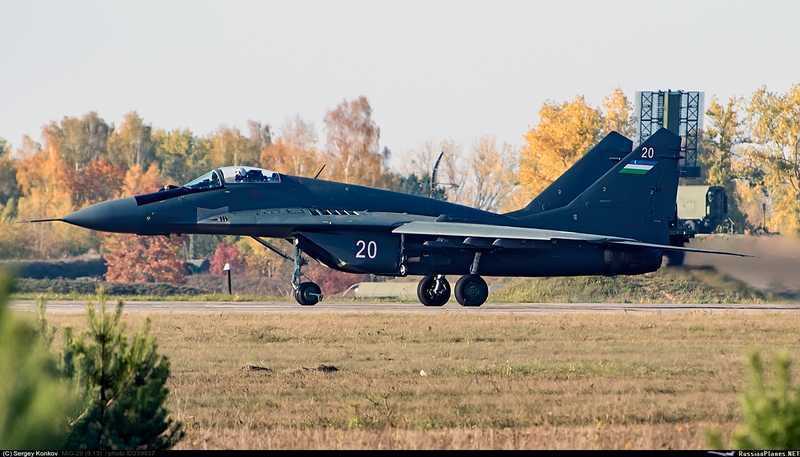 A picture of the MiG-29 fighter (type 9.13, tail number “20 white”) of the Uzbekistan Air Force who completed repair at OJSC “558 Aviation Repair Plant” in Baranovichi (Belarus). The plane after repair received a new dark color. Recall that in early 2017, Uzbekistan signed a contract with the Belarusian side to carry out overhaul and repairs at 558 Aviation Repair Factory in Baranavichy four MiG-29 fighters (9.13 type) and four Su-25 attack aircraft from the Uzbek Air Force (total The Air Force of Uzbekistan, as reported, planned to repair eight MiG-29 and eight Su-25). It is known, in particular, that in 2017, the Uzbek MiG-29 with onboard numbers "20" and "24" were delivered to Baranavichy. After the collapse of the USSR, Uzbekistan received 45 MiG-29 fighters (types 9.12, 9.13 and six MiG-29UB) as part of the 115th Guards Fighter Aviation Orsha Order of the Kutuzov and Alexander Nevsky regiments deployed at the Kokayda airfield (the regiment was re-equipped with MiG-29 fighters from the MiG-21bis fighters in 1988-1990). 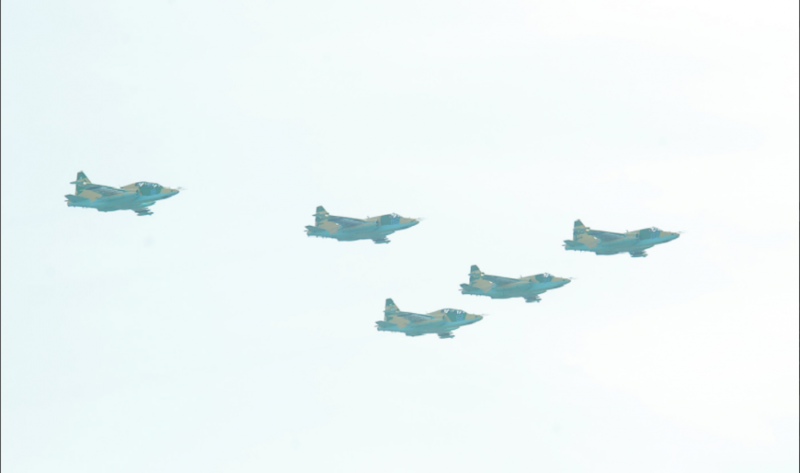 On January 1, 1993, the regiment was incorporated into the Air Force of Uzbekistan as the 61st separate fighter aviation regiment, and in 1999 it was relocated to the airfield Karshi-Khanabad. In 2002, the regiment was disbanded, and all MiG-29 fighters became part of the 60th separate mixed aviation brigade of Uzbekistan's air force stationed at Karshi-Khanabad (together with Su-24M / MR and Su-27 aircraft). Nominally, the Air Force of Uzbekistan currently has up to 32 MiG-29 fighters, but almost all of them have been stored for a long time and only a few vehicles are in flying condition. At the joint exercises of the security forces of Uzbekistan in the Fergana Valley on April 9-13, 2019, the AeroVironment RQ-11B Raven unmanned aerial mini-vehicles were demonstrated for the first time. Information on the number and timing of the acquisition of UAVs is not disclosed [The USA in 2018 and in early 2019 handed over to the Ministry of Defense of Uzbekistan four unmanned aerial systems with a mini-UAV RQ-11B Raven worth $ 3 million in military assistance - bmpd].